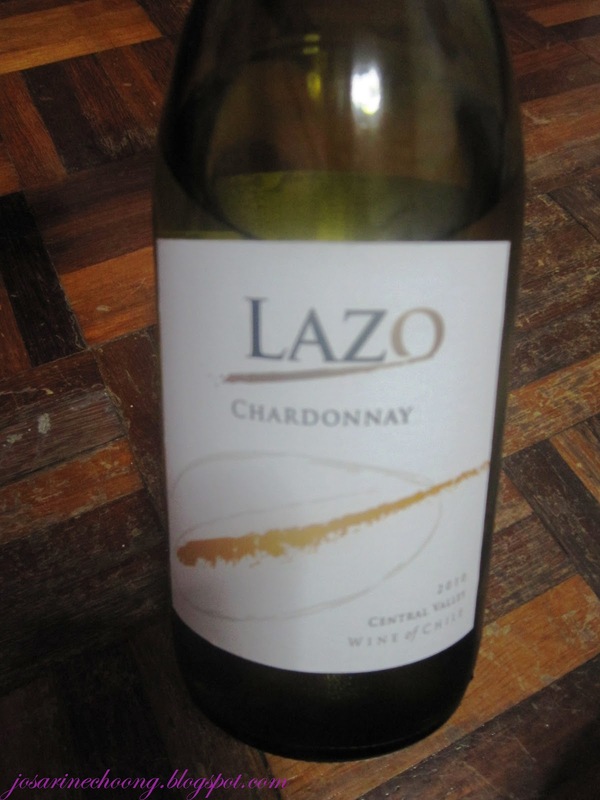 LAZO Chardonnay 2010, from Central Valley, wine of Chile. 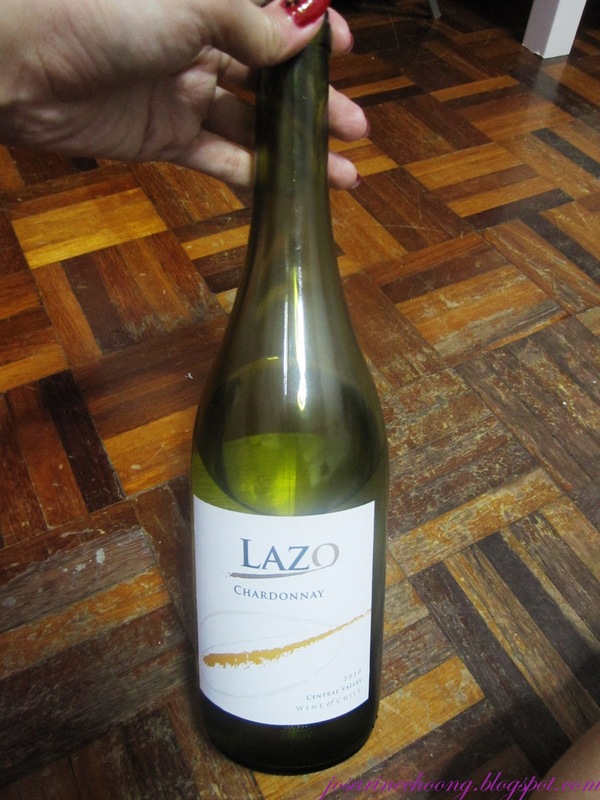 LAZO Chardonnay is a beautiful wine with a pale colour, with a fresh aroma and a round finish. It is ideal with salad, fish and seafood. Serve chilled. The moment I opened the bottle, I could smell and tell that this wine is a sour wine. I'm sure most of us can tell by the smell. But this however, is a little different. When I took my first sip, I felt that it wasn't as sour as I thought, and it is actually quite easy to drink. This wine gives a sweet introduction, however ends with a little bit of sourness. Which means that the first taste is sweet, but it will slowly fade to sour. Even so, the sour is not too sour, hence it is easy to drink. 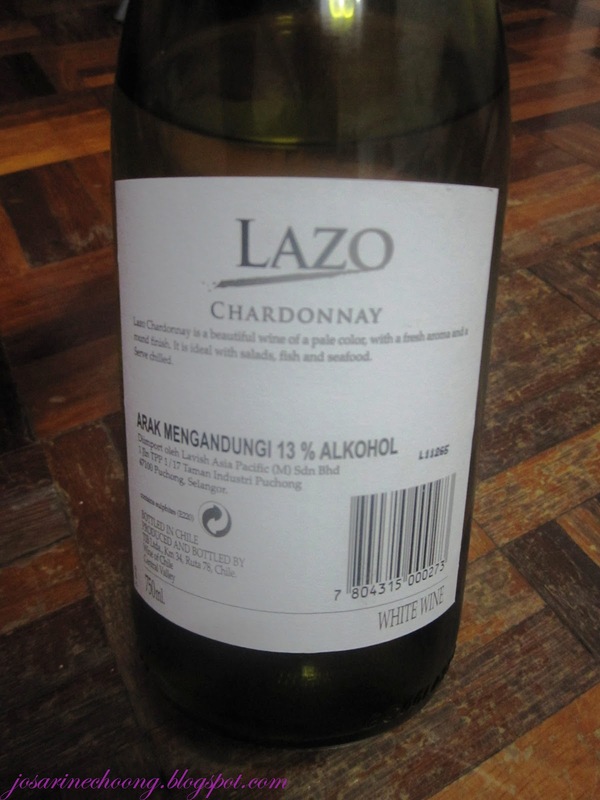 I bought this from the TMC alcohol shop at Lucky Garden Bangsar. I bought this for RM25.00 during the warehouse SALE. So before discount should be maybe RM30+? I would rate this wine 6.5/10. Even so, it is still not bad, just that I've tasted better. I would repurchase this again in future.